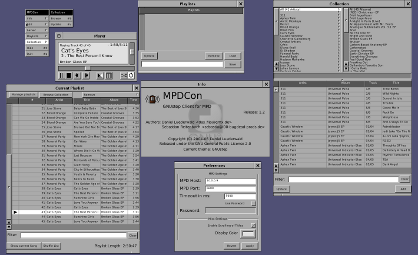 MPDCon is a client for the Music Player Daemon. MPDCon was initially written by Daniel Lüderwald. The original homepage is gone, but the old site on SourceForge is still available. He was so kind to allow us giving this nice tool a new home on GAP.